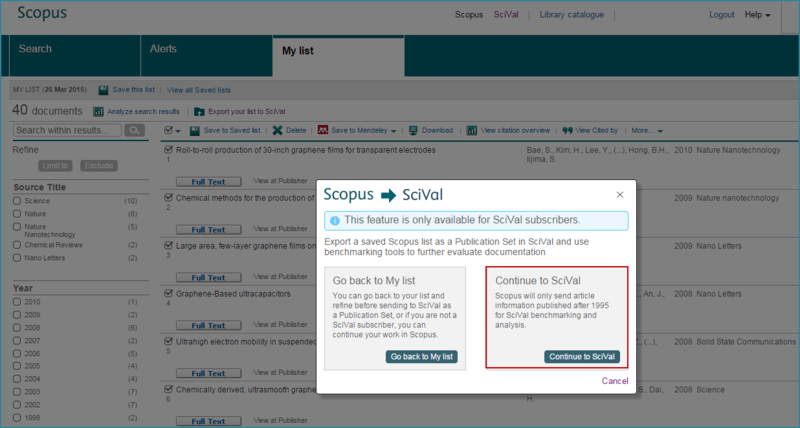 On March 25, Scopus added the ability to directly export a list of Scopus documents to SciVal, Elsevier’s benchmarking and analytics product,to enable further analysis.Available to users with access to both products, the ‘Scopus to SciVal export’ feature reduces the number of steps when using the two products together. This new feature further increases the interoperability between Scopus and SciVal, both products within the Elsevier Research Intelligence portfolio. Step 1: The user enters a search in Scopus. by going to the 'More’ option and choosing ‘Add to My list’. 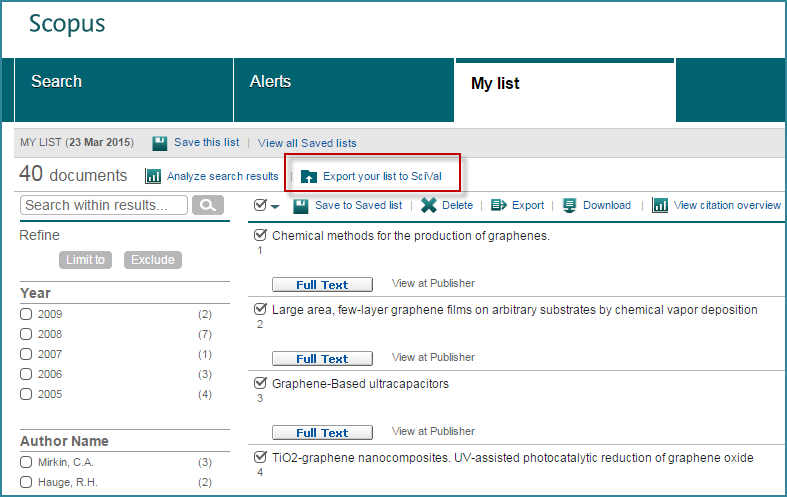 Step 3: From ‘My list’ in Scopus, the user will see the option to ‘Export a list to SciVal’. Step 4: Once in ‘My list’ the user is able to export the temporary list by clicking on the ‘Export your list to SciVal’. A pop-up screen will appear asking users if they want to ‘Continue to SciVal’. Selecting this automatically re-directs the user to SciVal. 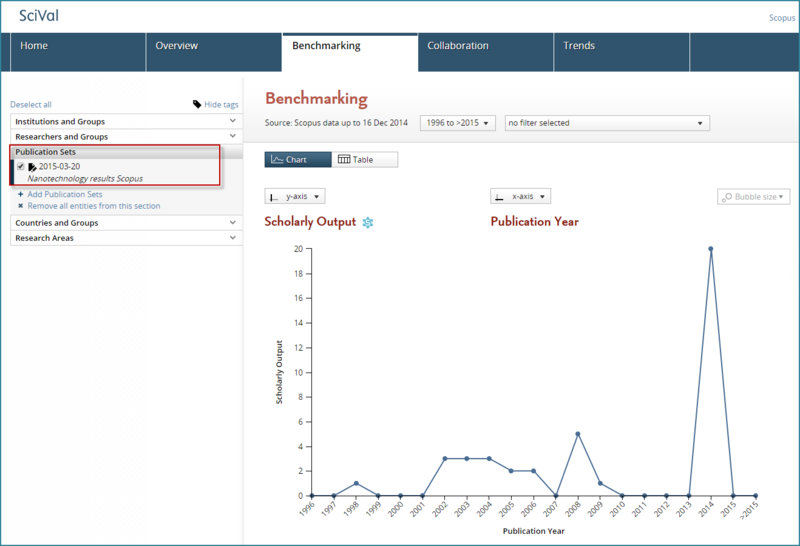 Step 5: The user now has the option to save the Scopus results list in SciVal. 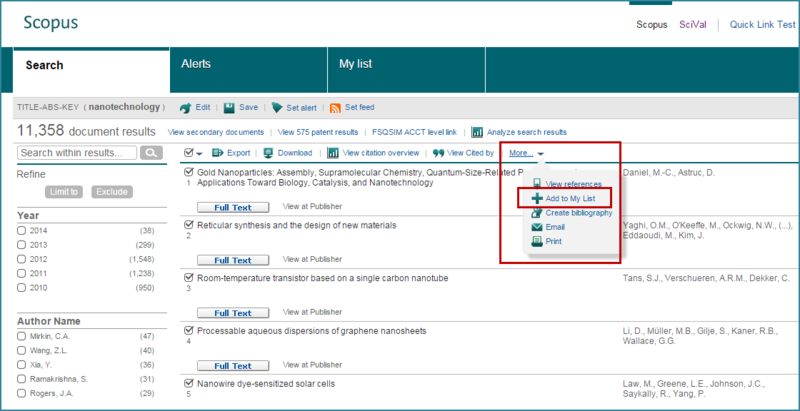 Step 6: Once saved, this list is automatically added to the ‘Publication Sets’ in the SciVal ‘Benchmarking’ module. 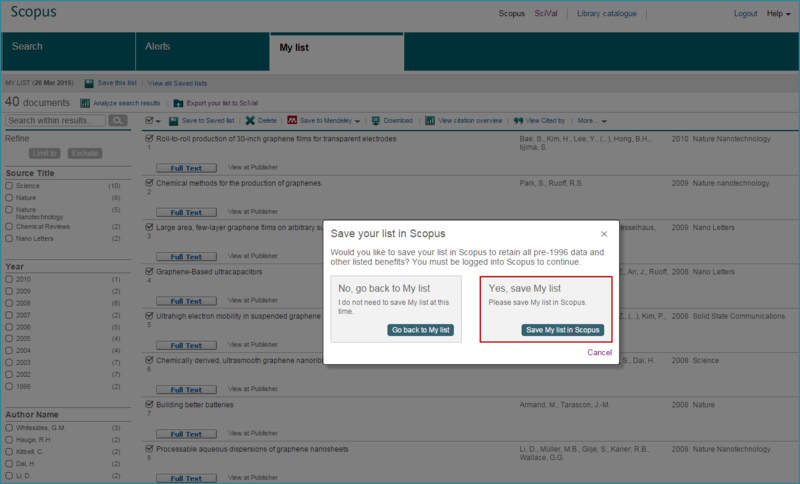 Step 7: Should the user want to export the same set again, an option is given in Scopus to save the temporary list. Note: The Scopus ‘Export to SciVal’ option can export up to 2,000 documents and can only be used for post-1995 data. Also follow us on Twitter for timely updates.